Source: Justin Wilson, Justin Wilson's Homegrown Louisiana Cookin' (New York: Hungry Minds, Inc, 1990), 38. 01. Add the wine and enough water to pot to cover bones. Cover and bring to a boil. Skim off any scum. 02. Add vegetables and seasonings. Cover and simmer for 3 to 4 hours. Remove bones and strain. 03. Remove unwanted fat after stock is chilled. 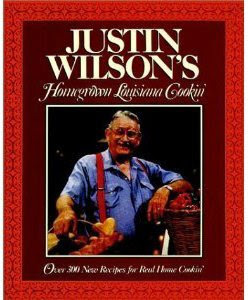 1 Source: Justin Wilson, Justin Wilson's Homegrown Louisiana Cookin' (New York: Hungry Minds, Inc, 1990), 38.